"One way or another, this is my last night in Vegas." After an international trailer gave us our first look at Simon West's latest action thriller Wild Card starring his Expendables 2 star Jason Statham, the first domestic trailer has arrived, and there's a lot going on. Statham is lethal professionally, and after helping a friend who is beat (and seemingly raped) by a thug, he helps her get revenge. But the thug's father (Milo Ventimiglia) decides he wants to retaliate. Meanwhile, Statham keeps playing blackjack to get out of some bad luck, but he keeps finding it in other ways elsewhere. It's pretty standard Statham fare. Watch below! You can still watch the international trailer for Simon West's Wild Card right here. 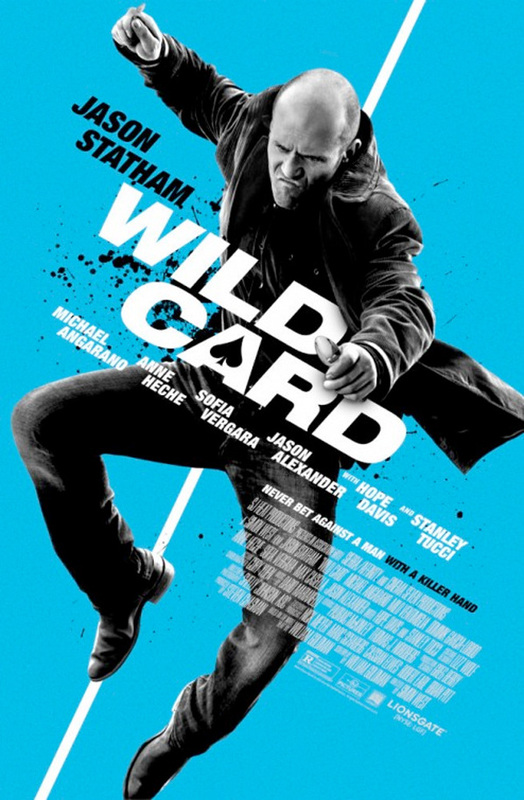 Wild Card is directed by Simon West (The Expendables 2, Con-Air, The Mechanic) and written by William Goldman, based on his own novel Heat. Nick Wild (Jason Statham) is a Las Vegas bodyguard with lethal professional skills and a personal gambling problem. When a friend is beaten by a sadistic thug, Nick strikes back, only to find out the thug is the son of a powerful mob boss (Milo Ventimiglia). Suddenly Nick is plunged into the criminal underworld, chased by enforcers and wanted by the mob. Having raised the stakes, Nick has one last play to change his fortune and this time, it’s all or nothing. Stanley Tucci, Sofía Vergara, Michael Angarano and Anne Heche also star in the film arriving on January 30th, 2015. Well? was that ninja star at the end? YES! Back to what he does best. I love these Statham C-movies. You mean triple A movies.